Nucleic Acids: new life, new materials – web themed issue now published! Through over 70 communications, full papers, feature articles and perspectives, this collection guides the reader through the most recent and exciting findings in nucleic acids research and applications in emerging areas. Some of the work presented in this virtual collection is also dedicated to the memory of Professor Har Gobind Khorana (1922 – 2011) and Dr Daniel McGillivray Brown (1923 – 2012) acknowledging their legacy to the nucleic acids community. We hope that you will find this collection enjoyable and stimulating to read! Please feel free to send the link to the issue to other researchers who you think may be interested. The Organic & Biomolecular Chemistry web theme issue focussing on the exciting area of foldamer chemistry is now available for you to access, with 21 articles for you to read, 4 of which have so far appeared on the covers of issues. What do you think if this area of chemistry? Do you have a favourite article from the collection? 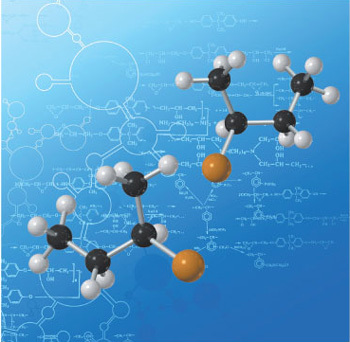 The syntheses and structural and functional investigations of peptide oligomers that adopt designed compact conformations have become challenging tasks in recent decades. β-Amino acids, among them cyclic β-amino acids, find a broad range of use as building blocks for the preparation of modified analogues of biologically active peptides. The peptidomimetic approach in drug research is of significant potential. Since their discovery, the field of foldamers has come of age as a branch of chemistry, and synthetic self-organizing polymers have infiltrated almost all chemical disciplines, either as tools or as topics of fundamental science. The interest in foldamers originated in the challenge to mimic the structural behaviour of biomolecules with synthetic sequences. This challenge was quickly answered: beautiful structures and programmable self-organization can be achieved with non-natural molecules. Various synthetic methodologies have led to novel building blocks becoming accessible, and a further source of diversity is the combination of different monomer types within a single sequence. Different amino acid homologues can be coupled in specific patterns (α,β-peptides, β,γ-peptides, etc. ), all resulting in novel secondary structure patterns. Moreover, the coupling of aromatic building blocks with aliphatic monomers has been achieved, and short βαγ- and βαδ-peptide sequences have recently been described, which points to the practically limitless number of possible combinations. The building-up of higher-order structures from foldamers is a further great challenge and an important trend in the field. The diversity of peptidic foldamers is currently passing through a ramping-up process at all levels. The present web themed issue covers the syntheses of β-amino acid monomers, and discusses the syntheses, structural investigations and applications of foldamers. Welcome to OBC issue 10! OBC‘s cover this week features work by Helma Wennemers et al. at the University of Basel (Switzerland), who have used click chemistry to introduce moieties as sterically demanding as monosaccharides into the Yaa position of collagen model peptides, and studied the effect of different triazolyl derivatives as well as the configuration of the functionalized proline residue on the thermal stability of the collagen triple helices. and that’s just a taster… we hope you enjoy the whole issue! A conundrum for anyone studying the prebiotic world is how chirality first occurred, and why D-sugars are the natural isomers, whereas natural amino acids have the L-configuration. In this hot paper Paul Clarke and Christopher Hayes from the Universities of York and Nottingham have shown how carbohydrates could have formed in prebiotic conditions by producing (D)-erythrose and (D)-threose sugars with (L)-amino acid catalysts. Having first used proline esters to catalyse the aldol reaction of TIPS-protected glycolaldehyde in water with good yields and moderate diastereo- and enantioselectivity, the group hypothesised that other proteinogenic amino acids (i.e. amino acids found in proteins) could also catalyse this reaction. Using N-methyl derivatives of the amino acid esters of (L)-alanine, (L)-leucine and (L)-valine they were able to produce the expected sugars, but were surprised to see that the (D)-enantiomer was the major product in all reactions. “This offers one potential explanation to account for the relationship between (L)-amino acids and (D)-sugars in nature” concludes Clarke. This remarkable find has obviously generated a lot of interest in both scientific and the wider press: see articles in The Daily Mail, The Huffington Post, on Science Daily or the press release from University of York. This article is also part of our joint web theme issue with ChemComm on Organocatalysis and as with all our hot articles will be free to access for 4 weeks. During 2011 we published a number of topical reviews on a wide range of topics by expert researchers in their fields. We’ve collected some of them below but take a look here for the whole list, we hope you’ll find something interesting in your area! If you have an idea for a review article that hasn’t been covered and you would like to see included, contact the Editorial Office – we’d love to hear from you. In this OBC Hot Paper Huaqiang Zeng and coworkers at the National University of Singapore have studied a series of water-binding aquafoldamers, illustrating their potential use for recognizing larger water clusters of diverse topologies and as synthetic water channels. This article is part of our forthcoming themed issue on Foldamer Chemistry – visit this page to see the collection of articles grow. Mario Waser et al. have designed new N-spiro quaternary ammonium salt-based catalysts from tartaric acid-derived TADDOLs. The new catalysts catalyse the asymmetric α-alkylation of glycine Schiff bases in good yields and up to 93% ee. This article is part of a joint ChemComm & OBC web theme issue on Organocatalysis. Keep checking this page as further articles are added to the web theme issue. M. Belén Cid et al. at the Universidad Autonoma de Madrid, Spain, have devised a simple and efficient organocatalytic approach for the synthesis of alpha-aryl cyclohexenones and cyclohexanones, leading to ee up to 96% and complete diastereoselectivity, via a Michael addition and aldol reaction as key steps. Highly rated by the reviewers and editorial office alike, this Hot Article will be FREE to access for the next 4 weeks. This article is also part of a joint ChemComm & OBC web theme issue on Organocatalysis. Communications for this web theme can be submitted anytime from now until 29th February using ChemComm’s and OBC’s web submission system. Please add the phrase ‘organocatalysis web theme‘ in the comments to the editor field. You are currently browsing the archives for the Web theme issues category.